The history of Chinese kung fu is closely associated with the history of qi gung. There are roots to this practice that can be traced both to Indian Buddhism and Chinese Taoism. A standard set of qi gong exercises is called Baduanjiang or "Eight Pieces of Brocade." The qi gung link is easy to identify in the internal styles of kung fu, but it is often more difficult to trace in the hard, external, styles of kung fu. None the less, the practice of forms and set stretching or training exercise sequences are known to have health benefits. As a young man, Zhuang Yuan Ming studied kung fu with a legendary master, Wang Zhiping. Wang's art was called Lost Track Fist. It was a synthesis of the Long Fist, Five Animals external styles, Hsing Yi, Ba Gua Zhang and Tajiquan internal styles. There are many stories about the martial arts practiced by Wang Zhiping and some of them are included in the book Gateway to a Vast World by Deng Ming Dao. Zhuang has many memories of Wang Zhiping as a kung fu master, but he also remembers him as a practicioner of traditional Chinese medicine and tuina (massage). Not only did this aspect of the practice seem to be effective, but Wang's regimine of twenty exercises were not only strengthening but also theraputic in relieving pain in the neck, shoulders, waist and legs. 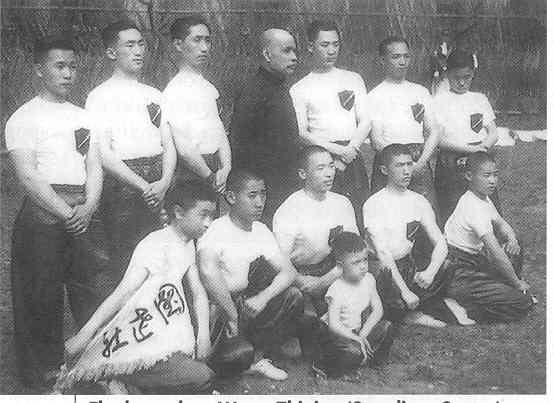 Wang expected his students to be able to exhibit skill not only as martial artists, but also as to set broken bones and practice healing arts. Wang Zhiping's fame was enhanced by exhibitions in which his students performed memorable feats of strength and endurance. 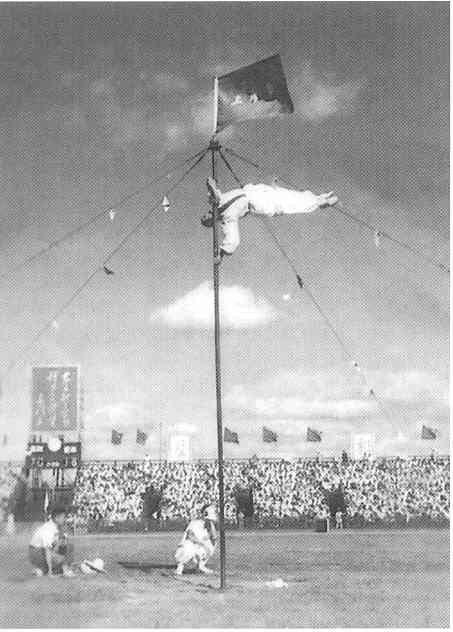 Zhuang Yuan Ming performs the flagpole exercise 1953. Wang Zhiping and his 1953 Team. Zhuang Yuan Ming is standing second from the right. Zhuang Yuan Ming was encouraged not only in his martial arts practice, but also was set on his path to become a healer. He became a Doctor of a branch of Chinese medicine called Tramatology, involving internal and external discomfort and stress. Zhuang also continued to apply the teachings of Wang Zhiping and other aspects of his studies. 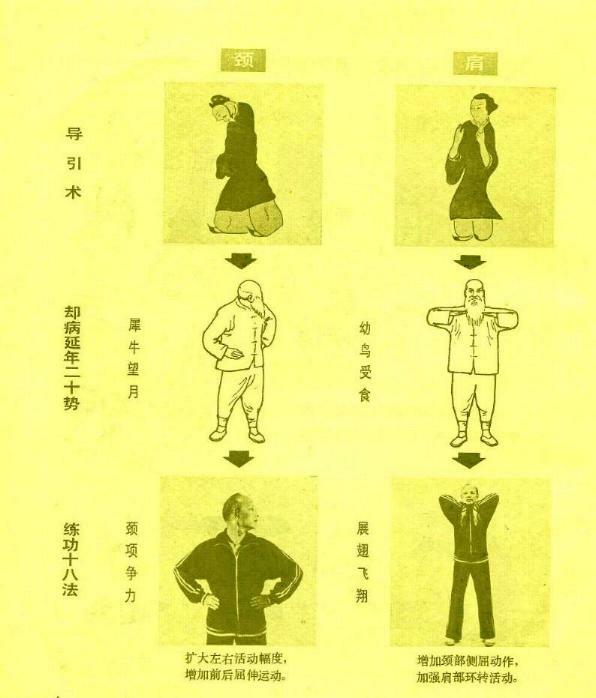 Wang's "Twenty Exercises," ancient exercises of Daoying ("Breathing Exercises"), "Eight Pieces of Brocade," "Muscle Change Classic" exercises and theraputic massage ("tuina") were included in a mix of therapies Dr. Zhuang Yuan Ming tried in his clinical work. Over the course of decades, Zhuang refined the set of theraputic exercises. In 1974, this effort culminated in the set of movements he called Liangong in 18 exercises. Since then, this practice has expanded from one to three sets of 18 exercises. An interesting aspect of this practice is that Zhuang Yuan Ming has encorporated theraputic massage by isolating a particular area and achieving the same results through the movements of the exercise.